Much as we would like to be, not every one of us are, or will someday be, wildlife biologists or working in the conservation and animal protection sector. However, there are many things we can do in our daily lives to assist and protect wildlife. These actions go beyond merely recycling empty containers and ‘liking’ posts on Facebook. Some may take you some time to implement or get used to. Hopefully, you are already doing many of the things on this list, but if you aren’t yet, choose at least one or two to try today! 1. Bring rubbish sacks, gardening gloves and/or rubbish tongs/claws with you whenever you go out. 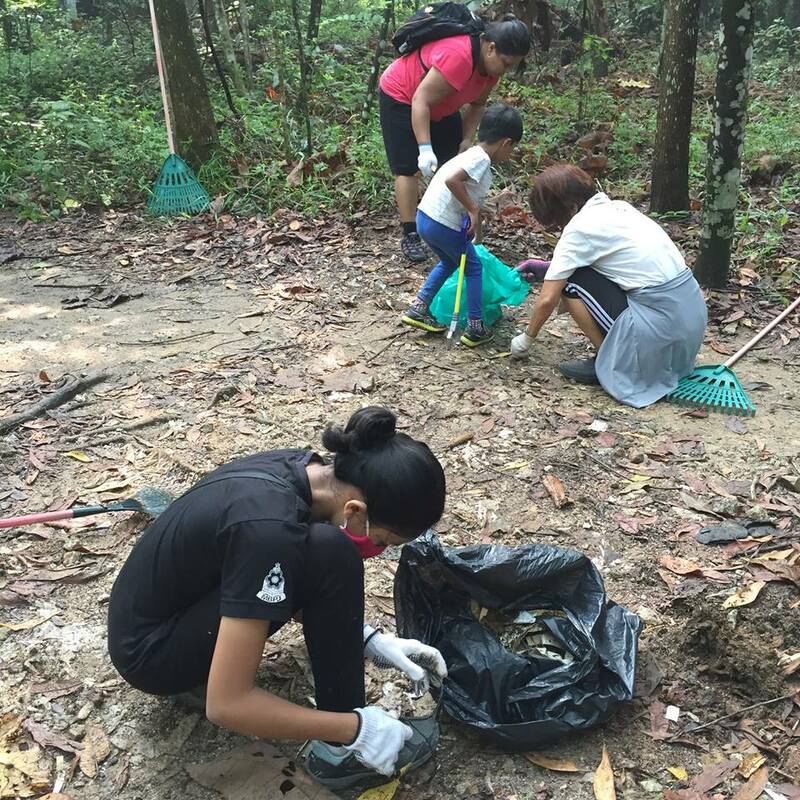 Pick up litter whenever you are able, especially in natural spaces such as jungle trails and beaches. Each piece of litter removed from a natural ecosystem helps wildlife and creates better places for humans. 2. Buy or make your own biodegradable and non-toxic cleaning products, such as laundry detergent, shampoo and dishwashing liquid. Chemicals in conventional detergents and cleaning products flow into drains, streams and rivers and often harm or kill wildlife. Do not use bleach as it is very toxic and even small quantities can kill pets, birds, frogs, earthworms, insects and other animals. 3. Avoid using glue traps, sticky fly paper, rat traps and similar ‘pest control’ methods and devices. Birds, bats, squirrels and other small animals often get trapped in these cruel traps and suffocate and die. The best pest control method is prevention: store food in covered containers or screened and ventilated food cabinets, put waste in covered waste bins, keep your surroundings clean, keep drains and ditches clear and unblocked, and install window and door screens to keep insects out. If you find small animals or birds trapped in glue, clean them gently with vegetable or mineral oil and gently rub the glue off. Wash them clean with shampoo and water until there are no traces of glue or oil left. Let them recover and dry off before you see if they can be safely released. If you are unsure of your abilities, or if the animal or bird looks injured, consult a vet. If you live in Kuala Lumpur or Selangor, you can also contact Dr. Jalila Abu of the Avian Vet Unit of UPM at 03 8946 8340. 4. Buy local, organic and seasonal produce as often as you can, and eat vegetarian or vegan whenever possible, if you aren’t already vegetarian / vegan. Local and seasonal produce uses less fuel to produce and transport and therefore generates less carbon dioxide. Organic produce does not use chemical pesticides and herbicides that kill insects, birds and wildlife. Livestock and poultry farming uses a lot of land and resources, thus depriving wildlife of their habitat and food and water sources. 5. Create small-scale wildlife habitats. Even in an apartment balcony, you can grow fruiting or flowering native plants that can provide food for native birds and insects. Grow pollinator-friendly plants that attract bees and butterflies, and have a compost pit or bin where bugs and earthworms are welcome to stay. 6. If you live in landed property, ensure your gates and fences do not have barbed wire or broken glass tops that will cut and hurt wildlife such as squirrels, tree shrews and common palm civets. Create sufficient space to allow small animals to climb over or pass through your fence and gate safely. 7. If you have pet cats or dogs, neuter and vaccinate them and keep them indoors or at least within your compound. If they do go out to play, put a safety collar with a bell on them, so that birds and small animals will be warned of your pets’ approach. Do not allow your pets to chase or catch birds, reptiles and other small animals. 8. Put up a microhabitat. Bird nesting boxes, bat boxes and bird baths all can provide safe spaces for wildlife, especially during harsh weather. 9. Inspire someone else to go outdoors. What is your favourite nature spot? Whether it is a hiking trail like the one in Bukit Gasing Educational Forest, or the mangroves of Kuala Selangor, offer to show someone else this spot and teach them about its importance as a wildlife habitat. People care more about things and places they have first-hand experience with. 10. Join an environmental organisation such as MNS, Malaysian Conservation Alliance for Tigers (MYCAT), or the Turtle Conservation Society of Malaysia (TCSM) and volunteer with them. Even without a background in conservation and wildlife protection, you can help man their awareness and education booths, raise funds, share posts on social media, collect signatures for petitions, attend and assist at their events and talks, and participate in short volunteer stints. 11. Donate your old wildlife and conservation magazines, such as the Malaysian Naturalist, to community libraries, clinic waiting rooms and barbers and hairdressers to get other people interested in nature and wildlife. 12. Contact your local MP, State Assemblyman and local councillor about wildlife issues in your area. For example, if people are feeding and poisoning macaques or trapping birds, or if palm civets and snakes are being killed by speeding vehicles, write in to your elected representative to propose solutions. These individuals are elected to serve the people, and you have the right to voice your concerns. 13. Investigate your local wild patch. If there is a patch of wild land in your neighbourhood, find out more about it. Explore it safely in a group and record any bird and wildlife sightings you see. 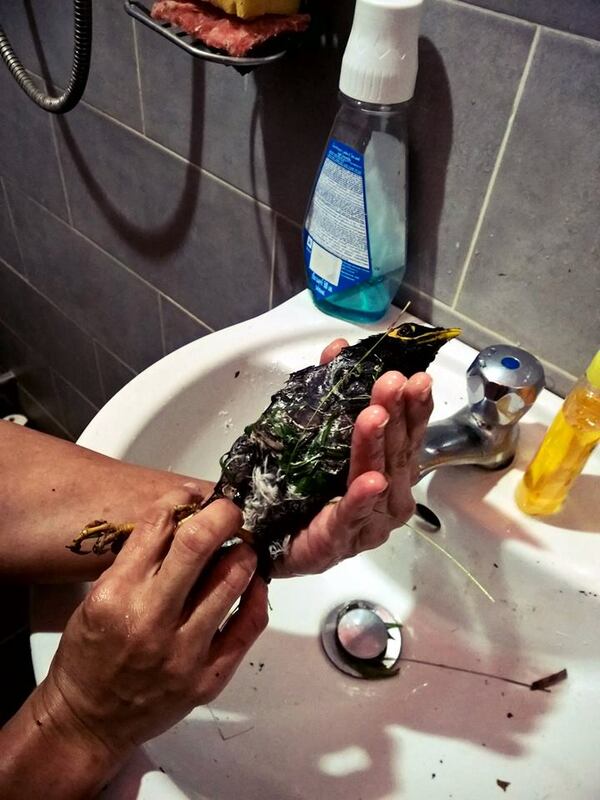 Inform the local chapters of any environmental groups and the residents’ association to try to protect the area. Report any wildlife crimes you see (e.g. mist nets to catch birds, or traps and snares to catch monkeys and wild boars) to the MYCAT Wildlife Crime Hotline at 0193564194 or to the state office of the Department of Wildlife and National Parks (Perhilitan). 14. Never purchase products made from threatened or endangered species. Avoid supporting the market in illegal wildlife trade. Boycott all traditional medicine made of wildlife parts, tortoise or turtle shell products, ivory, fur products, butterflies and beetles preserved in plastic or resin, and products made from the skin of snakes and other reptiles. 15. Buy sustainable forest products. Choose bamboo or rattan furniture, and products certified by the Forest Stewardship Council. Avoid furniture made from wood from rainforests. Minimise your use of palm oil (found in most processed food products, snacks, soap and shampoo) as rainforests including those in Malaysia are destroyed to make way for oil palm plantations. 16. Use your mobile phones for as long as possible, and recycle them once they can no longer be repaired and reused. Mobile phones contain coltan, a mineral extracted from mines in the deep forests of Congo, in central Africa, which is home to the world’s endangered lowland gorillas. The boom in the worldwide demand for mobile phones has led to the destruction of gorilla habitats and the rampant slaughter of gorillas for the illegal bushmeat trade. 17. Slow down when driving. If someone else is doing the driving, advise them politely to slow down and keep an eye out for wildlife. If you are the passenger, stay alert for wildlife that may be crossing the road or birds that may be flying low. Many animals live in developed areas and this means they must navigate a landscape full of human hazards. 18. Do not purchase exotic pets. Sugar gliders, slow lorises, marmosets, monkeys, parrots and other wildlife belong in the wild with their families and in their habitats. If you love them, protect their habitats. Keeping them in captivity will not keep their species safe and will only cause them stress and anguish. There are thousands of domestic animals -- chiefly dogs, cats and rabbits that have been selectively bred for centuries to live with humans and to depend on humans -- looking for good homes in animal shelters and pounds. Please consider giving them a chance of living a good life with you instead. 19. Do not visit circuses, travelling zoos, petting zoos and uncertified private zoos. Keeping wildlife in captivity is neither kind nor educational. Many of these animals are caught by poachers and hunters, usually by killing the mother animal and taking the baby away. The money you pay to visit these facilities will not be used to keep the animals fed and healthy. Instead, it will usually be used to buy more animals to be used as ‘attractions’ to keep visitors coming. 20. Make your home wildlife-friendly and wildlife-safe. Avoid using pesticides, herbicides, glue traps, rat poison or bleach. Put stickers or decals on windows if you find that birds keep flying into them. Keep a lid on your waste bin to stop animals from raiding your rubbish. Wash jars and containers and put the lids back on before you put them in the recycling bin or bag. Clean out the insides of cans and use a hammer to flatten the openings of cans to stop small animals from getting trapped inside or getting cut by the sharp edges of cans. Dispose of needles, pins and razor blades by wrapping them in masking tape and labelling them clearly as sharp objects. Recycle electronic waste and batteries. Avoid accepting and using plastic bags, plastic drinking straws, and polystyrene packaging. These are small actions that take getting used to, but will go a long way in preventing the unnecessary deaths of wildlife and even stray animals.